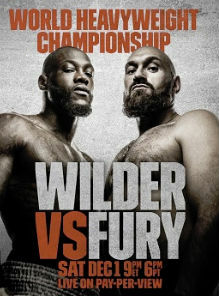 This weekend, millions of people tuned into the highly anticipated boxing match between Deontay Wilder and Tyson Fury. While many paid the premium PPV or streaming rates, there was also a massive crowd of pirate viewers. According to piracy-tracking firm MUSO, these unauthorized streams were viewed ten million times, with YouTube being the 'top' provider. Interestingly, there are quite a few regional differences. For example, in the UK, Ripple streams were much more popular than YouTube streams, 20% versus 11%.